The Beyond Data Podcast and the Good Catch Blog are fisheries-centric media produced by journalist and science writer Ret Talbot. Both are currently in transition, so stay tuned to this space to learn more about what comes next. 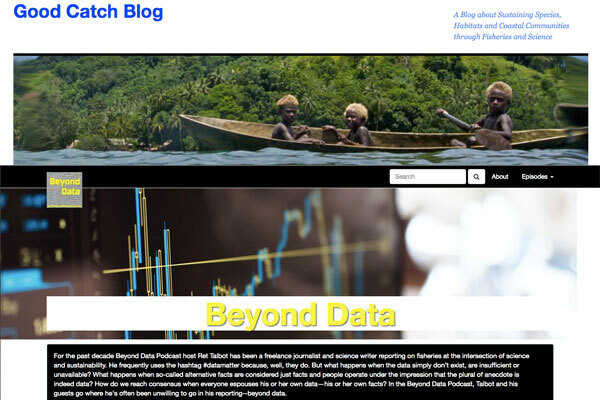 In the meantime, be sure to checkout the latest episode of the Beyond Data Podcast or listen to the most popular Season 1 episode by pressing play on the link below. Join the conversation online at the Good Catch Blog Facebook page or the Beyond Data Facebook page.